We added FOUR new exclusive acts to the Disciple roster Eliminate, MODESTEP, Oliverse and TERRAVITA (& also Panda Eyes who we wish well as he moves back to Switzerland and pursues being an independent artist). Launched the Disciple Round Table exclusive roster with signings MVRDA & INFEKT, had four of our acts ( Virtual Riot, Barely Alive, PhaseOne & Myro) play a headline slot at the biggest bass music festival in the world, 'Rampage Festival' and sold out multiple Disciple Takeovers across the world including our biggest show to date at the Hollywood Palladium in Los Angeles (3,700 people!). Barely Alive & Virtual Riot both stepped up and set out on individual 45 date headline tours this year, as well as Oolacile, MVRDA & INFEKT embarking on the monster 'Triple threat' tour. As for the releases... We released Dodge & Fuski's debut album, Barely Alive's genre bending sophomore album 'Odyssey', reached number 11 in the billboard electronic album chart with Virtual Riot's German Engineering EP and created the biggest dubstep collab that’s ever been created ‘Get Lemon’ as part of 2018's Disciple Alliance compilation. As a label team, we moved into our new LA Headquarters and opened the brick & mortar clothing store located in Hollywood. We launched the Disciple podcast, expanded our clothing line drastically, collaborated with Jericho & Miniladd on two killer compilations, made more ridiculous videos than we can count and to top the year off we released Dubstep's finest Christmas single, ‘Fix The Rail’! We’ve had the pleasure of releasing music from Pegboard Nerds, Racercarbed, Virtual Riot, Virus Syndicate, Monxx, Oolacile, Slander, Sullivan King, Ivory, Dodge & Fuski, Trolley Snatcha, Liquid Stranger, Bar9, Jakes, The Others, Boy Kid Cloud, Bukez Finezt, DMVU, Compa, Youngsta, J Kenzo, Stylust, JLEON, Malux, Dubloadz, PhaseOne, Infekt, Protohype, The Arcturians, Smooth, Eliminate, Hydraulix, Oski, The Upbeats, Lelijveld, Khiva, Oliverse, Torro Torro, Fox Stevenson, Jarvis, Chime, JVST SAY YES, Figure, Dakota, Yookie, Bandlez, Young Buck, In Hearts Wake, Splitbreed, Subtronics, Modestep, Barely Alive, Great Good Fine OK, Iamsu, Nasko, Bossfight, Mvrda, Panda Eyes, Franky Nuts, Terravita, Bare, Kompany and 12th Planet. And on Round Table: Answerd, Man3faces, Sub antix, Antiserum, Samplifire, Janstan, Lumberjvck, Uzzi, P0gman, Rekoil, Subject 31, Codd Dubz, Jkyl & Hyde, Adair, Tank Parade, Hatcha, EH!DE, N-Type & Lost. 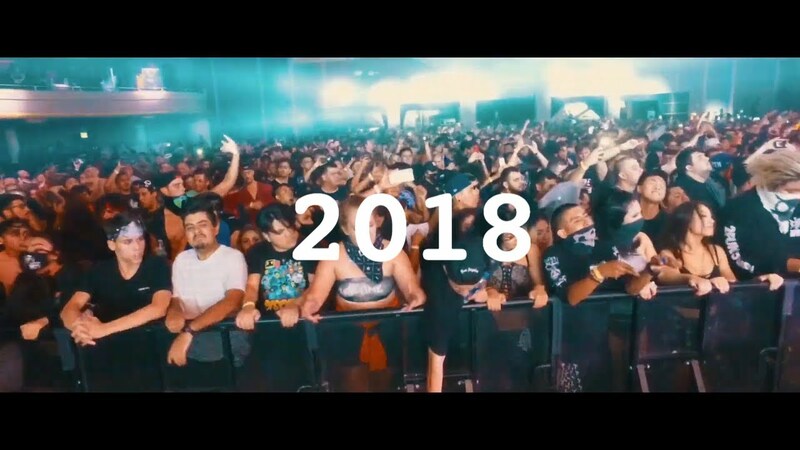 Big thanks to all the blogs and channels that have supported our team this year including, Billboard, NEST HQ, Thissongissick.com, Bassrush, Dubstep Gutter, The Dub Rebellion, Your EDM & many more. 2018 was the year where we over doubled in staff and felt like we made the transition from an indie label being run out of our house as a hobby to a serious company that we will be working on for the rest of our lives. We will be forever grateful to all of the artists, agents, managers and industry folk who have helped make this transition possible for us but most importantly, YOU. If it wasn’t for your continued support through sharing, streaming, buying a t shirt, buying tickets or telling your friends about Disciple then none of us would be able to spend every waking moment on promoting the music we all love. Like any company, we’ve had some major ups and major downs, but we will be welcoming in the new year tonight knowing that the moral between all of our staff and artists has never been stronger. Thank you! SUBSCRIBE to our channel for more DISCIPLE & Disciple Round Table!